CAPE MAY — Delaware River and Bay Authority Commissioners (DRBA) has increased the rates this season. Travelers staying in Cape May at Bed and Breakfasts, or hotels with cars will pay more than those without vehicles. There are Cape May ferry discounts available for more frequent visitors to Cape May. 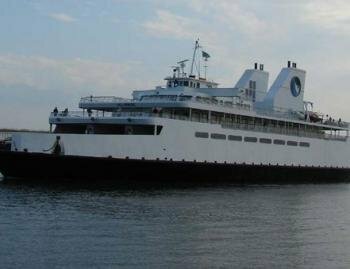 Effective April 1, the new ferry fare schedule is expected to stabilize the Cape May – Lewes Ferry’s operating deficit, which was approximately $9 million in 2008. The 2009 fare increase, which averages 6 percent, is projected to generate gross income of approximately $14.9 million. Travelers should be aware of the changes when planning the next trip to Cape May NJ. • Car, SUV, pickup truck less than 20 feet, Nov. to March: $29.50. April to Oct.: $36, peak season: Memorial Day to Labor Day Friday, Saturday, Sunday and holidays from 9:30 a.m. to 7:30 p.m.: $43.25. Return-trip Value Fare: Nov-March: $21.25, April to Oct and peak. : $26.50. Discount Book of six tickets (all vehicles less than 20’ length) $153 all year. Discount Book of six tickets (commercial vehicles): 15% off scheduled fare. Discount vehicle tickets: not valid Saturday, Sunday or Holiday between 9 a.m. and 5 p.m. from Memorial Day to Labor Day. • Vehicle and foot passengers: under six years of age: free. • Discount book of six adult tickets: $43.50 all year. Reservation fees and discounts: Internet reservation fee discount is $2. Non-refundable reservation cancellation fee is $5. Travelers in need of accommodations can try the Bacchus Inn Bed and Breakfast at 609.884.2129. The Bacchus inn Bed and Breakfast is open in all season and is just minutes from the Cape May ferry terminal. Many guest of the Bacchus Inn Bed and Breakfast chose to leave there vehicles in Lewis and travel to Cape May as passengers. This is a great way to save money since the ferry offers a shuttle from the terminal into town. The Bacchus Inn Bed and Breakfast is centrally located in Cape May so once a traveler arrives it is just a couple block walk to the Washington street Mall, Cape May MAC – Emilen Physick Estate, and several restaurants like the Merion Inn, Washington Inn, and Union Park. This entry was posted on Tuesday, May 12th, 2009 at 11:22 am	and is filed under Uncategorized. You can follow any responses to this entry through the RSS 2.0 feed. Both comments and pings are currently closed.